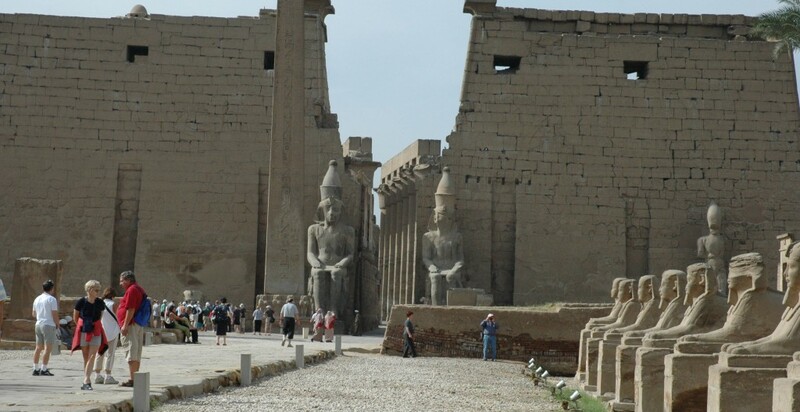 The Luxor temple is located in south western of Egypt. The Luxor temple was built with sandstone from the Gebel el-Silsila area. This sandstone from the Gebel el-Silsila region is referred to as Nubian Sandstone. It and was built during the New Kingdom. It has a great significance as sandstone was used for the construction for monuments in Upper Egypt as well as in the course of past and current restoration works. 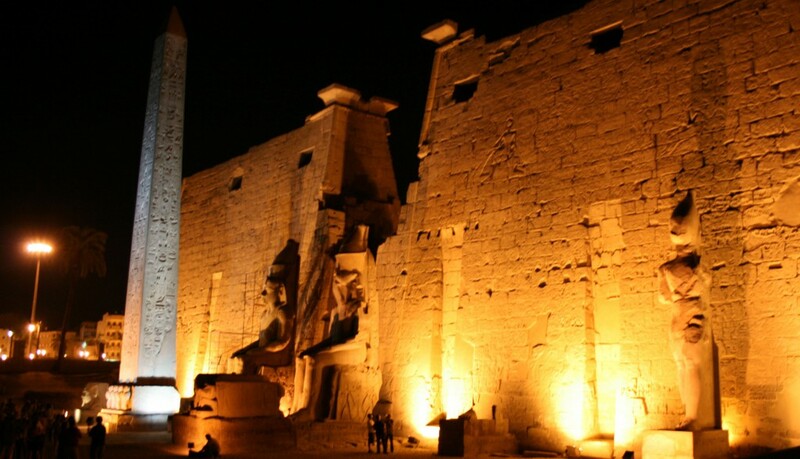 It has been determined that the Luxor temple holds great significance to the Opet festival. The Luxor Temple was dedicated to the Theban Triad of the cult of the Royal Ka, Amun, Mut, and Khonsu. The most fascinating common technique was used in Egyptian structure which was symbolism, or illusionism. A sanctuary shaped like an Anubis Jackal was really Anubis. 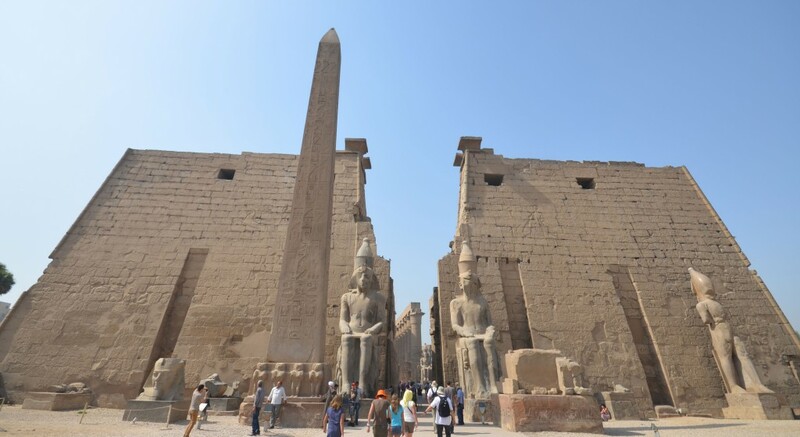 At the Luxor temple, the two obelisks flanking the entrance were not the same height, but they created the illusion of being there. With the layout of the temple they are deceptive as of equal height, but using illusionism, it increases the relative distances hence making them look the same size to the wall behind it. Symbolically, it is a visual and special effect to emphasize the heights and distance from the wall. 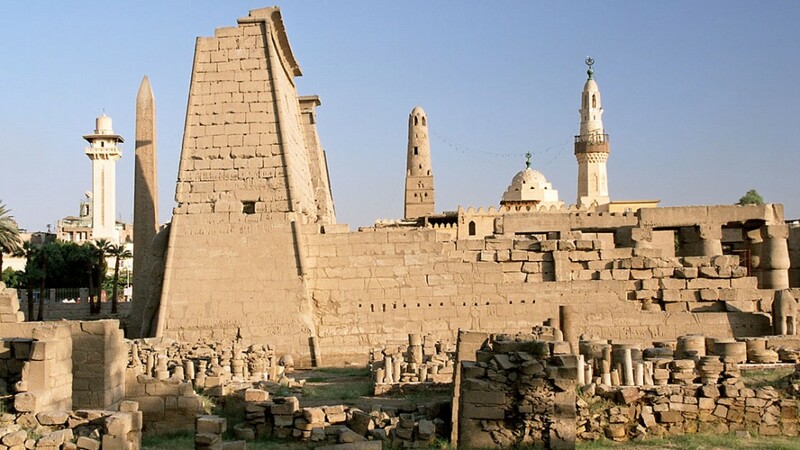 Since medieval times the Muslim population of Luxor had settled in and around the temple. Due to the Luxor’s past city population building on top of and around the Luxor temple, centuries of rubble had accumulated, to the point where there was an artificial hill some forty-eight feet in height. Professor Gaston Maspero was first to excavate the Luxor Temple by 1884 after he had been given the order to commence operations. The excavations were carried out intermittently until 1960. Maspero had taken an interest earlier, and he had taken over the post of Mariette Pasha to complete the job in 1881.